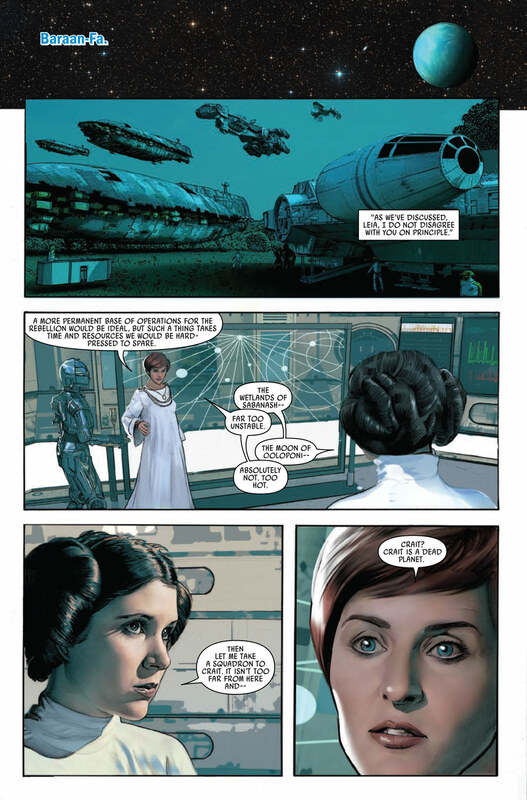 If you want to go deeper into Star Wars: The Last Jedi, here’s a place you can look: comics. To mark the release of the film on Digital, Movies Anywhere, 4K Ultra HD, Blu-ray, and On-Demand last month, StarWars.com went through the latest comics related to the film — The Storms of Crait, DJ: Most Wanted, Forces of Destiny — Rose & Paige, and Star Wars Adventures #5 and #6— to find some the most interesting connections and revelations. This entry was posted by Star Wars in Black Series, Books, Books + Comics, Chewbacca (Star Wars) | Characters | 4f7a5c94cb6c2d69de13c002, Chewbacca Noodle Rolls, Collecting, Comics, creatures, Daniel José Older, Disney Parks, Events, Ewok Hunt, excerpt, Games + Apps, GIFs, Han Solo (Star Wars), Hasbro, highlights, Interviews, Lando Calrissian (Star Wars) | Characters | 4f7a5c9dbac94d69de13c002, Last Shot, Merchandise, Millennium Falcon, National Pet Day, Night on Endor, poll, Polls, poster, Quizzes + Polls, recipe, Recipes, RunDisney, runDisney Star Wars, Solo poster, Solo trailer, Solo: A Star Wars Story, Star Wars Books, star wars comics, Star Wars Episode VIII: The Last Jedi (2017) | Movies | 52bcf1f27c8fc867c947de89, star wars games, star wars recipes, star wars toys, Star Wars: Battlefront II, Star Wars: The Black Series, Toys, trailer.